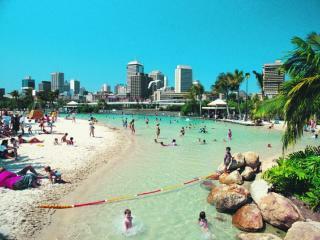 Brisbane has a great range of activities and attractions from the centre of the CBD to the river and the outskirts of the city. Queen Street Mall offers a fantastic range of shopping and dining while Paddington and Woolloongabba offer antiques and boutiques as well as the 'Gabba' Cricket Ground. 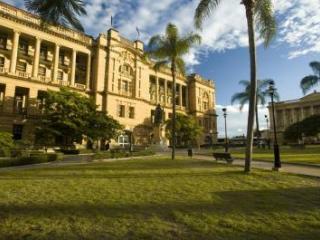 Parliament House dates back as far as 1868 and the Queensland Maritime Museum showcases nautical treasures from as far back as 1925. However, some of the most popular attractions are listed below..
A beautiful sandstone building dating back to the 19th century, the grand façade of the Treasury Casino and Hotel is a charming contrast to the glitz and glamour of the bars, restaurants, entertainment, deluxe accommodation, gambling tables and poker machines found inside its doors. Offering the best views in Brisbane, Mt Cootha Lookout is a popular attraction home to the award-winning Summit Restaurant and garden cafe as well as exotic plants in the Botanic Gardens, the city's premier heritage park and a planetarium. 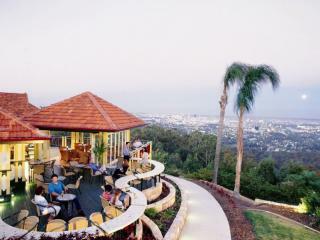 The lookout offers views over the city and all the way out to Moreton Bay. The Brisbane River is the lifeblood of the city and as it winds its way through the city and outer suburbs, areas to enjoy these beautiful areas have sprung up including picnic spots, boardwalks, bike and walking trails, restaurants and pontoons. 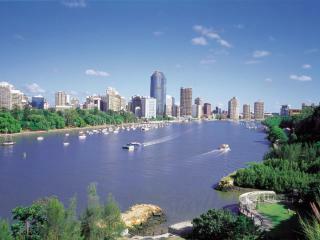 You can also cruise the river on a CityCat or in style on the River Queen paddle steamer. South Bank offers Brisbane's picturesque riverside recreational, cultural and entertainment precinct featuring 17 hectares of parklands, eateries, bikeways, walking paths, main event venues and even a life guard patrolled man made lagoon where the sun shines on a sandy beach, right in the heart of the city.